We are looking for an enthusiastic and committed person, to help us out this coming summer season. We are a new school (3 Years old) and are looking to expand our team to include another person to help us out this summer. Mounts Bay is a very busy tourist destination with plenty passing trade. This season we are also opening our Beach shop which will run alongside our Cafe. We are looking for someone that loves watersports, has an active lifestyle and believes in the idea that a day at the beach makes you feel good. Then this is a great opportunity to live and work the lifestyle. Organise, manage and run Kite Surf and SUP lessons on a daily basis if wind conditions provide, including leasing with assistant instructors if required. Additional bonus to be added to daily wage on a per person/per hour basis. (through more organisation and larger groups wage increases) Additions to be discussed on enquiry. The job will include a basic requirement for 2 days per week at the start of the season This will quickly increase as we get closer to summer and become busier. Your wage will be supplemented with Lessons and also additional days in the retail position during busier times such as school holidays and bank holiday weekends. 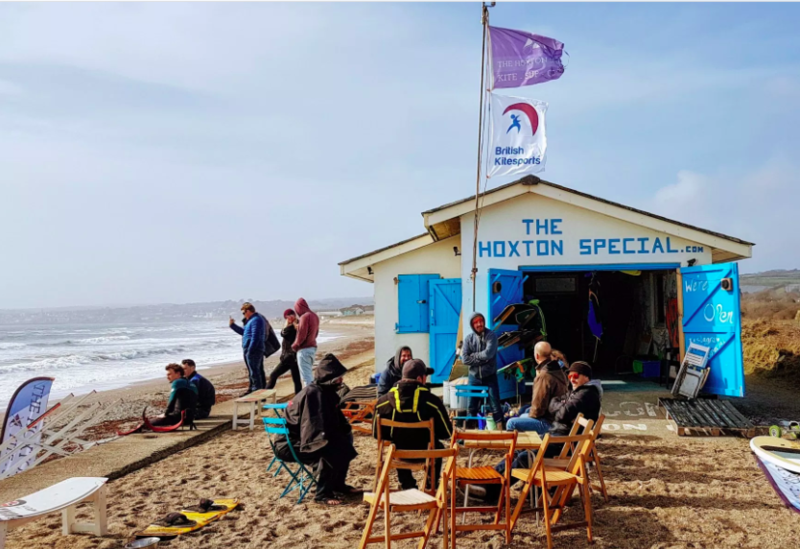 With a requirement for at least 2 experienced water sports enthusiasts in the shop on most days, it is possible, if desired during the summer, to be in work 6 days a week, and earn additional bonus’ through lessons taught. On enquiry, dependant on experience and previous qualification.